Saturated. Drenched. Soaked. And feeling fine about it. The summer started with fire and evacuations, and ended with a month of monsoon. Some of us humans feel a bit run around by the weather this summer. 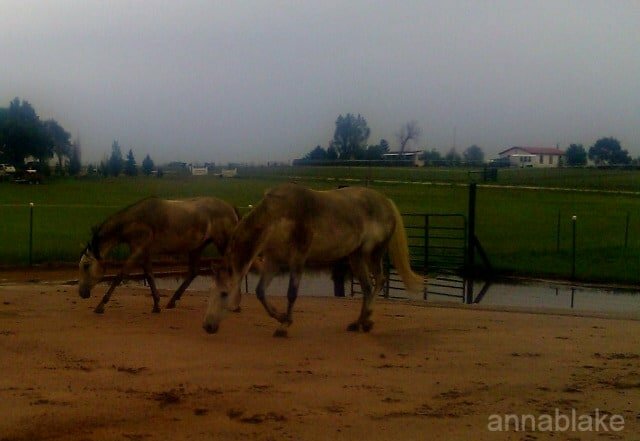 Horses like to run around in the weather. Fundamental difference. ← What to Do When Nothing Works. Fundamental difference indeed!! Lovely entry for the challenge.